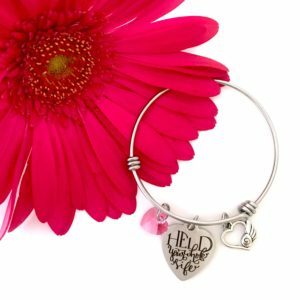 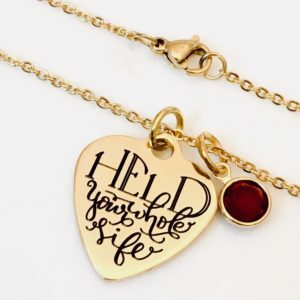 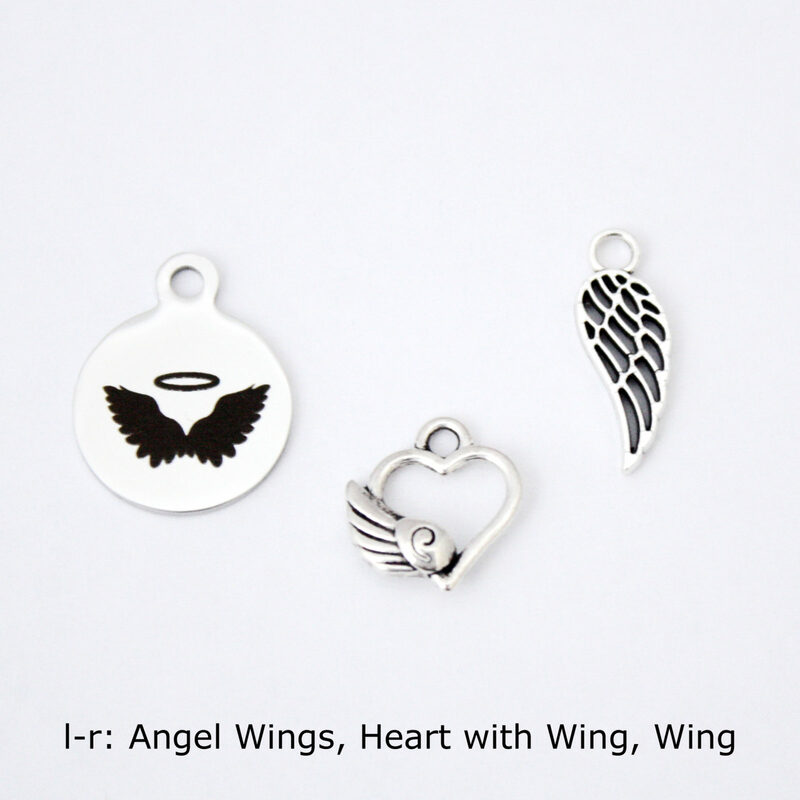 Choose from a number of charms to personalize your memorial jewelry as you see fit. 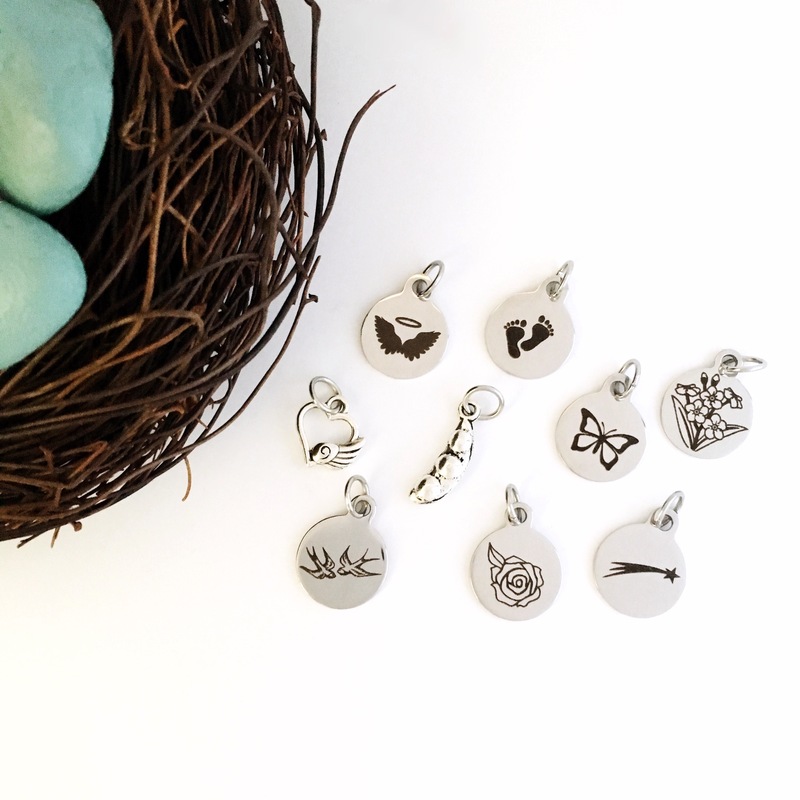 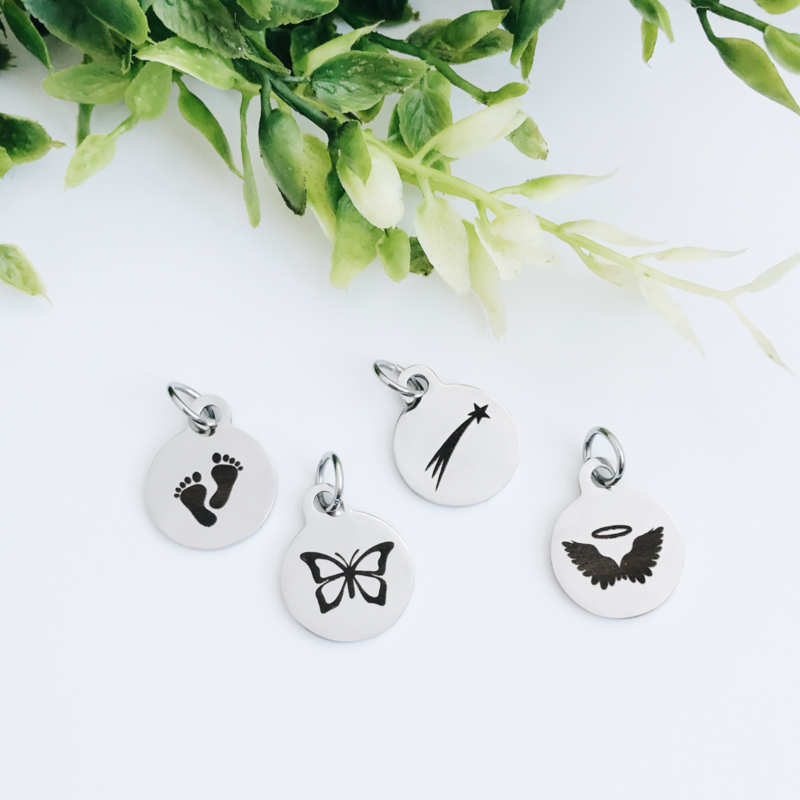 Our round laser-engraved charms are made of hypoallergenic stainless steel and will not tarnish or fade. 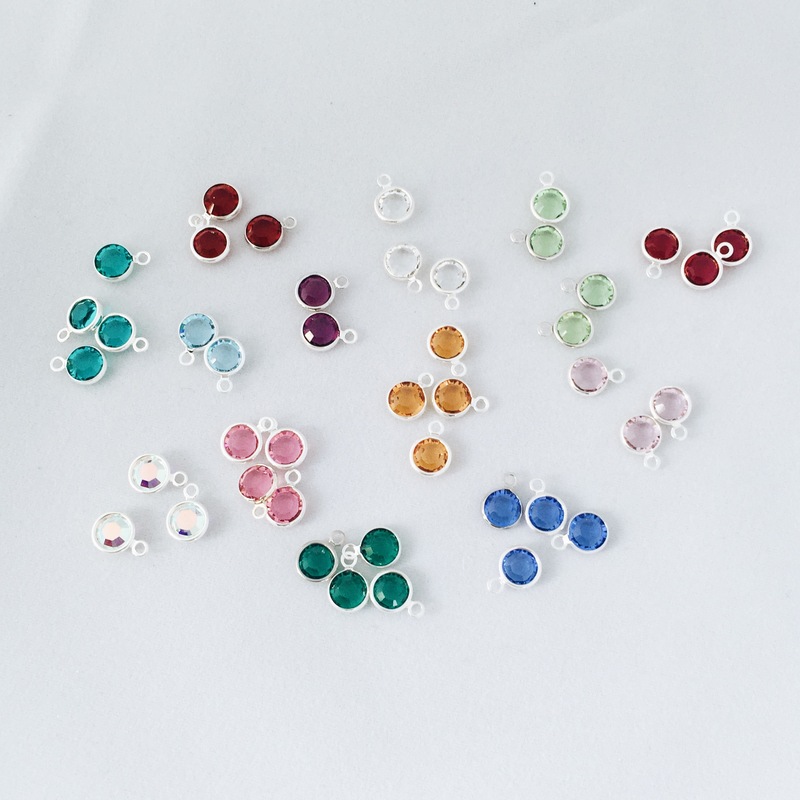 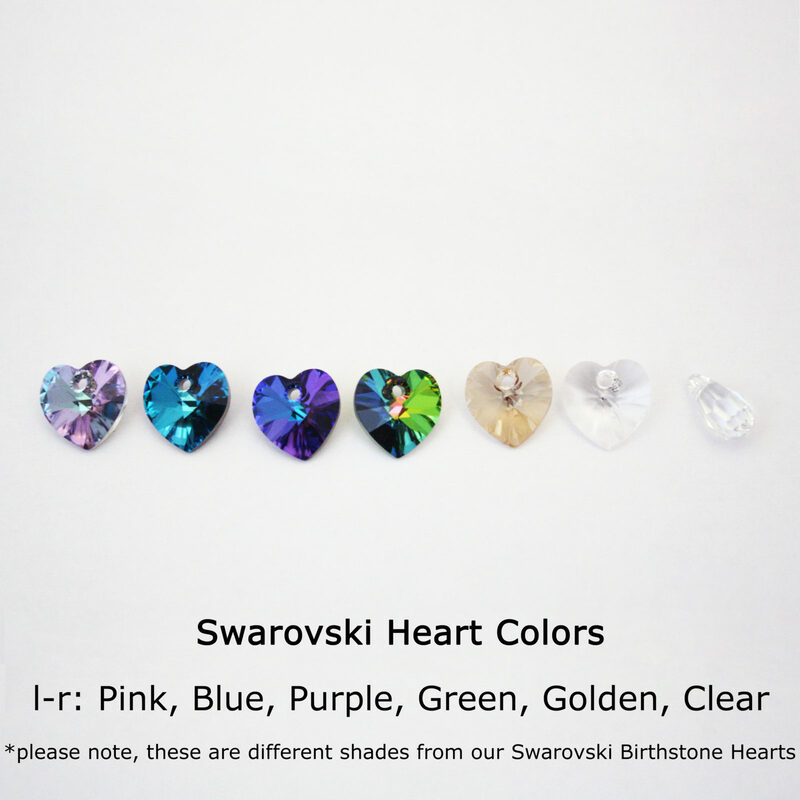 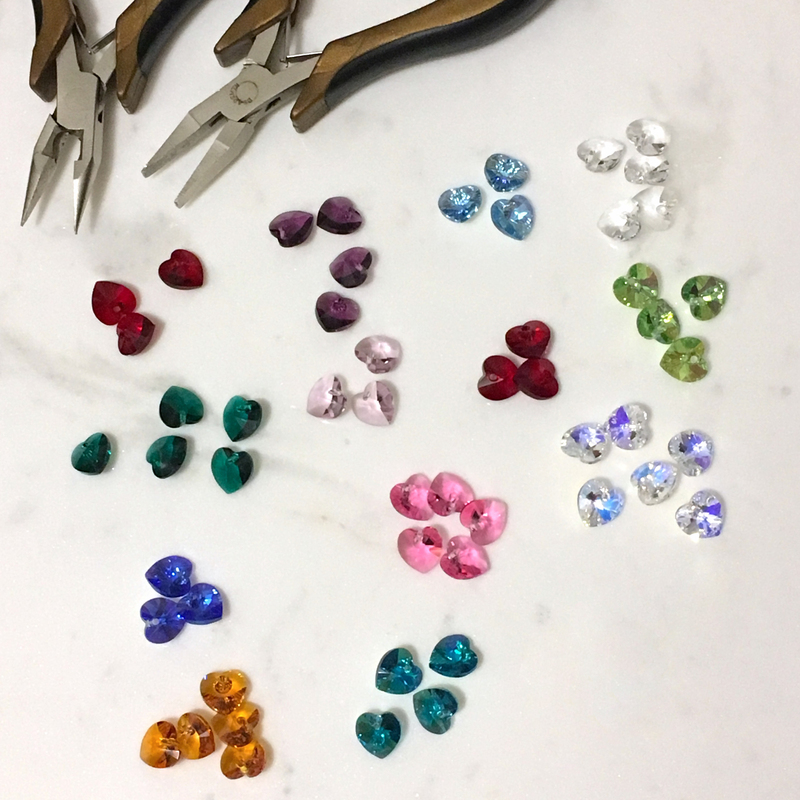 We have an expanding collection of Swarovski Crystals which include birthstone channel drops, faceted hearts, and dainty drop briolettes. 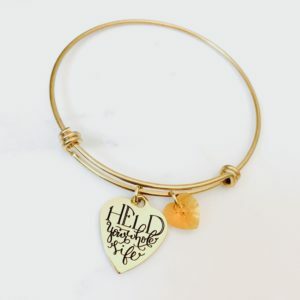 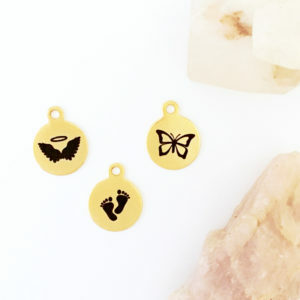 Charms can be added to customize any of the pieces in our shop, just send us a note at checkout and it will be our honor to build your special items.